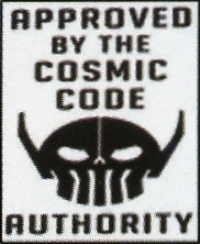 Eclipse produced some interesting comics in the 1980s. I recall Airboy, Aztec Ace, Destroyer Duck, Ms Tree, Sabre and the Rocketeer.There was also Miracleman which started off as our Marvelman with Alan Moore and then veered off into the weird worlds of Neil Gaiman. Don’t forget Seduction of the Innocent in 3D! 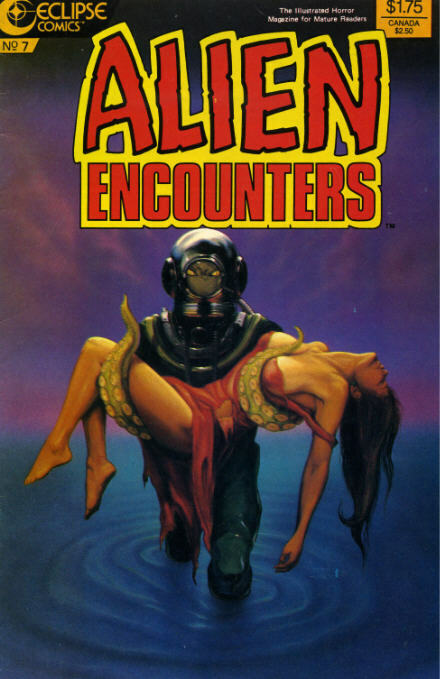 Numerous other Eclipse titles came and went such as this SF/Horror anthology “Alien Encounters” which had a number of memorable covers.